Ready to order your essential oils? Get started here. Want to learn the basics of essential oils? Check out my full list of local and online essential oils classes. Have you ever smelled fresh lavender and felt relaxed? Or tasted fresh-cut mint on a salad and felt refreshed? Well then, you’ve experienced the therapeutic benefits of essential oils. Want to learn more about essential oils? You’re in the right place. In fact, you can get started right now if you’re ready to order. Essential oils are the concentrated aromatic essences of flowers, trees, grasses, and bushes. They contain all the goodness that protects and maintains the plant, and we can use them to help support and protect and maintain our own bodies’ health and wellness. There are many different kinds of oils out there, and they all have different properties and uses. From well-known plants like Lavender and Peppermint to exotic ones like Frankincense and Copaiba, there’s an incredible range – and they each provide different benefits and uses. I wanted to make my own skin care products. I was frustrated with the seemingly ‘natural’ skin care products in the store that still had ingredients I could not pronounce. Plus, I wanted to find natural options to clean my home. As I researched DIY lotion recipes, I found that most included some essential oils. So I got an Young Living essential oils starter kit, started experimenting, and I’ve never turned back. Since then, I’ve used essentials oils to make homemade bath and beauty products like body lotion, aftershave balm and facial moisturizing serum – saving me a lot of money. I’ve also found that essential oils help me to wind down at the end of the day, sleep better, and support my immune system. And they can be used by the WHOLE family. My entire family now uses oils in so many different ways. Even my extended family and friends are using oils now, because once you use them, you love them – and then you start telling everyone about them! One of the most important things I’ve learned about healthy living is that it’s not just knowing what something is – it’s knowing where it comes from, how it’s grown, and how it’s processed. I like to go to the farmers market to buy my family’s food and want to know who grows our food and how. I want to know the same things about where my oils are coming from. After researching several options, I felt I could trust Young Living with my family’s health. They have been around for over 20 years and are the only essential oil company that owns farms all over the world (including France, Croatia, Oman, Ecuador, and here in the U.S.) and oil distilleries. In fact, Gary Young, the founder of Young Living, built the first essential oil distillery in the U.S.
Young Living maintains their commitment to quality through their Seed to Seal guarantee. They have the highest standards and quality controls through all steps of the process, from planting, to cultivation and harvesting, and distilling on all the farms they own and co-op. And best of all, you can see the process first hand. I got to visit the Young Living farm in Mona, Utah and see the whole distillation process, from harvest to essential oil production. The standards and purity are unmatched, and no other company is inviting people to come and observe how they produce their essential oils. Members are encouraged to visit the farms to experience the Seed to Seal process. Every year they open the doors of their winter harvest on the Idaho farm, and you can help harvest the plant materials and distill your own bottle of essential oil! I got to go this past winter and it was an incredible experience to witness the entire process and truly KNOW that these oils are the real deal! Why Can’t I Just Buy Oils on Amazon or the Health Food Store? The essential oils at the health food store are simply not the same quality as Young Living. Many have been adulterated with chemicals and synthetic compounds. They may contain cheap essential oils produced from crops with pesticides. Check the labels – they typically say not for “internal use” or “do not put directly on the skin”. You can even smell the difference. Peppermint, for instance, shouldn’t smell sweet or like candy – there is nothing sweet about a peppermint plant. It should smell like a fresh-cut herb. When you compare Young Living’s Peppermint with another company – there’s simply no comparison. And, sadly, Amazon is no better. Young Living does NOT sell oils on Amazon. So if you are buying Young Living oils on Amazon, there is a high possibility that it is imposter oils that have been diluted and relabeled. There is just no way to know what you are getting without going to the source. You can only get Young Living essential oils direct from the company through an independent distributor. The Premium Starter Kit is the Best Value! Quality is important – that’s why I chose Young Living. But you know what? Price is too. And of all the essential oil companies out there, I found that Young Living is HANDS-DOWN the best and most affordable starter kit. Referral number: if you ever refer anyone to get their own starter kit, Young Living will send you a Thank You check. And when you order through me, you’ll get personal support – by phone, email, text and through my members-only Facebook group – and a FREE BONUS GIFT from me. Anyone who orders a Premium Starter Kit will get a Welcome Kit for FREE! Your Welcome Kit is packed with oily reference materials to give you a jump start on using your oils, as well as tools and tips to get you started making some of your own DIY creations – as well as some of my favorite diffuser and rollerball blend recipes! BONUS: If you also enroll in Young Living’s rewards program, Essential Rewards,(which is incredible and gives you so much free stuff from Young Living!) at the same time you order your starter kit, you will also receive a 350-page essential oils reference book ($25 value) for FREE. Not sure how to do this? Just email me at stacey@whenlifegivesyouoils.com and I’ll show you how. You must email me to claim this bonus prize. *These gifts are only eligible for US residents. If you are outside of the US and order the premium kit you will get a $25 Amazon gift card emailed to you. 1. Why should I become a Young Living Wholesale Member? Signing up as a wholesale member puts you under no obligation to distribute the oils. It simply means that you get to enjoy the benefits of a discounted wholesale membership and save 24% on everything you order, forever. Young Living does not have any monthly minimum purchase requirements, contracts, or annual fees. It truly is risk free. They stand by their product and let it do the talking. 2. Is there a monthly order minimum? No. You do not have to order monthly in order to benefit from being a Wholesale Member. Once you order your premium starter kit, you are free to just order more oils as the need arises… or not. That is the best part. You are never required to order anything, ever. However, as a wholesale member you will always pay 24% less than retail on everything you order. 3. I don’t really want to sell essential oils. Do I have to sell Young Living products to be a Wholesale Member? Of course not. Since there is no monthly order requirement you can simply just order whenever you and your family need it. There is no requirement to have a business. 4. What do I need to do to get started? To begin as a Wholesale Member, you start by purchasing the Premium Starter Kit. Just choose a diffuser option, and then you’re set. This is the same kit I purchased to get started on my essential oil journey. 5. What is Essential Rewards? Essential Rewards (ER) is an optional loyalty program. When you join, you’ll start accumulating rewards points (10-25% on your qualifying order) for everything you buy, which can be used to get free products on future orders. You can join the ER program later – but believe me, this is great to join from the get-go. Young Living has oils for hormone support like Progessence Plus for women and Shutran for men, supplements like NingXia Red and Master Formula (multivitamins), beauty products (like the ART skin care line), and even toothpaste (trust me, Thieves toothpaste and mouthwash will change your life). Make sure to contact me once you get started so I can make sure to add you to my member’s only Facebook group and other support resources! 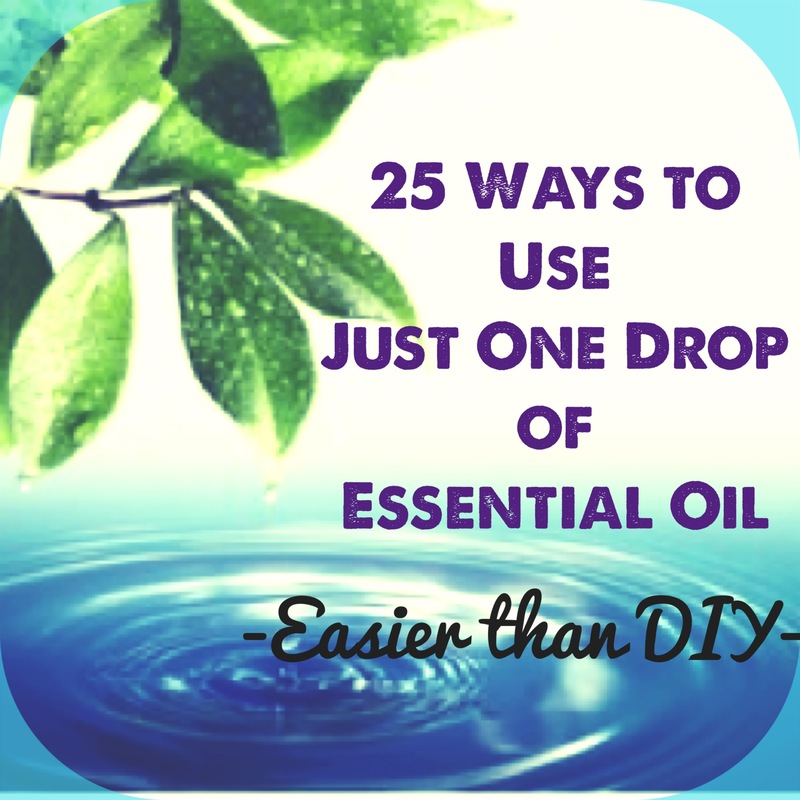 25 Ways to Use One Drop of Essential Oil – Easier than DIY! Making my own skin care products and health remedies with essential oils is something I really love to do. Sometimes, though, I don’t want to make anything – I just want the benefits of my essential oils! These are the times I’m reminded of how powerful essential oils can be, and that just a drop is all you need. When you want to leave behind the DIY projects with the coconut oil, beeswax, melting pots, veggie capsules, etc – here are some terrific ways to experience the benefits of essential oils with just one drop*! Find out how to buy essential oils at wholesale prices (24% off retail), and get a free sign-up gift! Learn about even more uses for the 10 most popular Young Living essential oils.